INTENSE fascination in the private lives of celebrities can drive some stars literally insane. 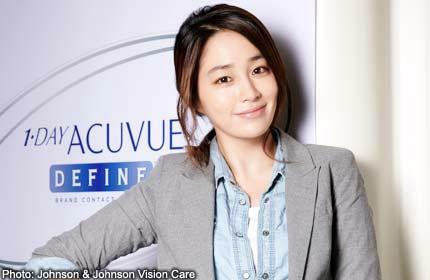 But for South Korean actress Lee Min Jung, the scrutiny she faces in her homeland is something she is thankful for. “It’s because of the intense interest that Korea’s entertainment industry is now booming, and Korean actors and actresses are enjoying strong success,” the 28-year-old told my paper in an exclusive interview at a quiet cafe in Seoul on Wednesday. In fact, Koreans love, and are proud of, their local films, something that isn’t common elsewhere, she said. She might have felt “puzzled and embarrassed” by the growing attention in the past, but the rising star said she now adopts a positive attitude to cope with the fervour. She pointed out that the more fervent fans keep track of her every step, and even know when she goes on an overseas trip. “I take pleasure in knowing I have their support, and I’m grateful they care,” she said. Lee majored in performing arts at Sungkyunkwan University, and had her breakthrough role in 2009’s Boys Over Flowers, in which she played Gu Jun Pyo’s (Lee Min Ho) fiancee. She went on to star in her first lead role in the romantic drama Smile, You (2009), before acting in sleeper hit Cyrano Agency: A Dating Guru (2010). The film spent three weeks at the top of the South Korean box office when it opened last September and Lee nabbed the Best New Actress award at last year’s Blue Dragon Film Awards. She is currently the new face of Acuvue contact lenses. Despite her success, the lass, who entered showbiz at the age of 25, is down to earth. She shops or hangs out in bars with friends who are not in the movie industry. But Lee is not without her share of critics, in an industry which focuses on good looks. Last year, an old photo of her looking younger and chubbier surfaced on the Internet, sparking brutal comments urging her to maintain her slim figure. Lee admitted that people’s criticisms on the Internet can sometimes be hurtful. “After all, I am a human being,” she said. But instead of taking it personally, she uses what people say about her to reflect and improve herself, she added. Now, some of you might have noticed Lee shopping in Orchard Road in June 2009. The singer was here to promote a Sony Ericsson mobile phone. “I was quite surprised and amazed by the cleanliness. And I loved Singapore’s cuisine, especially chilli crab and fried rice,” she said with a laugh.